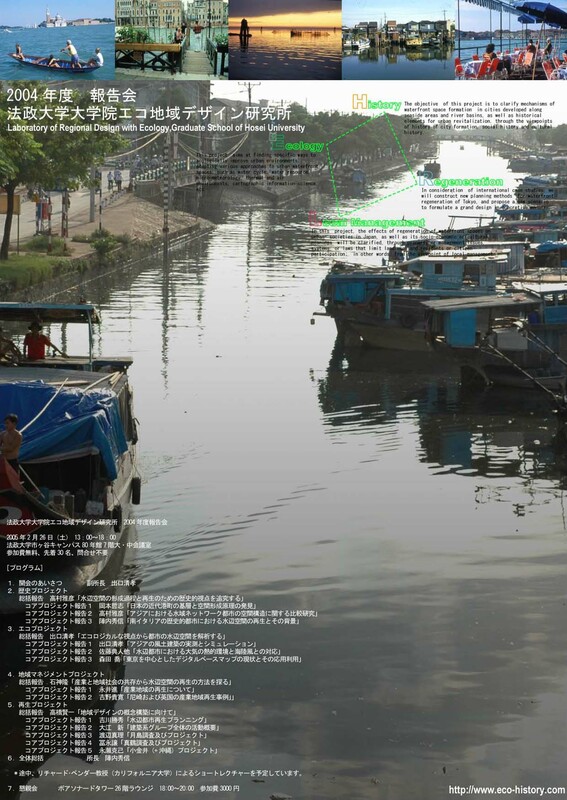 "Regional Design based on Ecological and Historical Viewpoints" (supervised by Hidenobu Jinnai; edited by Laboratory of Regional Design with Ecology, Graduate School of Hose University; published by Gakugei Shuppahsha) has been published. 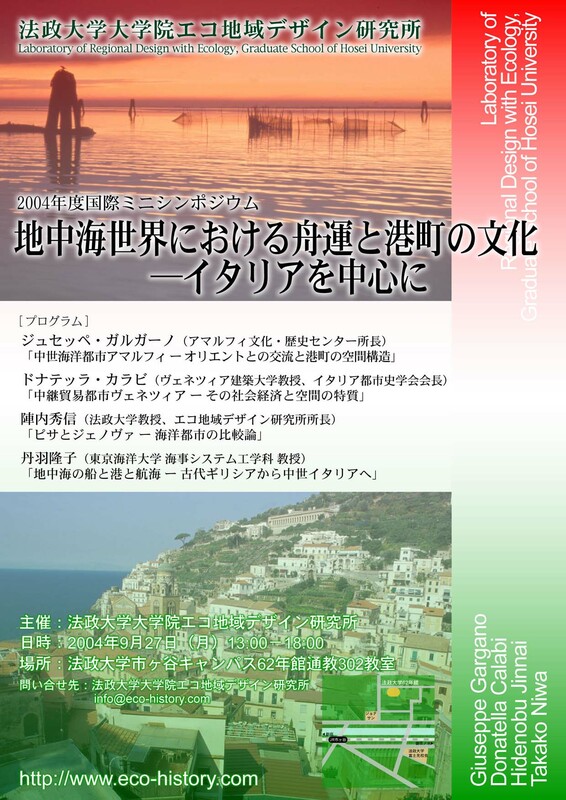 "Spatial Structure of Medieval Ocean City, Amalfi--Field Survey in Southern Italy, 1998-2003" has been published (Enlarged edition, Hidenobu Jinnai and Jinnai Lab.). secion) (11/13, Sat. 14:00-17:00) at meeting room F, 6F, Boissonade Tower, Ichigaya Campus of Hosei Univ. Kodera lab. of water and human geography, Geography Department, Faculty of Letters, Hosei Univ. The 3rd workshop of History Project (11/25 Thu. 17：30〜20：00) Laboratory B, 25F, Boissonade Tower, Ichigaya Campus, Hosei Univ. (11/27 Sat. 13:30-17:00) at meeting room B, 25F, Boissonade Tower, Ichigaya Campus of Hosei Univ. The 4th workshop of History Project (12/15 Wed. 18：00〜20：30) Main Meeting Room, 7F, '80 Building, Ichigaya Campus, Hosei Univ. International Symposium by Laboratory of Regional Design with Ecology, Graduate School of Hosei Univ. (12/21 Tue. 13:30-17:00) at meeting room A, 25F, Boissonade Tower, Ichigaya Campus of Hosei Univ. Meeting room B, 25F, Boissonade Tower, Ichigaya Campus, Hosei Univ. Meeting room of Dep. of Human Environment, 24F, Boissonade Tower, Ichigaya Campus, Hosei Univ. Main meeting room, 7F, '80 Building, Ichigaya Campus, Hosei Univ. Note: The room will be opened at 14:45.
" Water culture in houses and gardens in Iran (tentative)"
Main and medium meeting rooms, 7F, '80 Building, Ichigaya Campus, Hosei Univ. Satoshi Okamoto "Bases and system of spatial formation in Japanese pre-modern port towns"
Masahiko Takamura "Comparative study on spatial structure in Asian cities based on water area network"
Hidenobu Jinnai "Waterfront space renovation in historic cities of South Italy and its background"
" Actual measurement and simulation of Asian domestic architecture"
" Relationship between thermal environment and land and sea breeze in waterfront cities"
" How digital base maps are used around Tokyo? 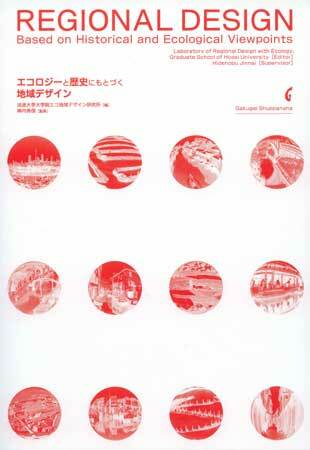 -including its applicable usage"
--establishing concept of regional design and waterfront space renovation"
" Overall research summary of architectural group"
" Field survey in Tsukishima and research project"
" Field survey in Manazuru and research project"
Summarizing report: Takashi Ishigami "Activities in 2004 (tentative)"
" Renovation of industrial areas (tentative)"
" Case study on industrial areas in Amagasaki and cities in Britain (tentative)"
You are invited to attend our research meeting composed of two guest speakers from Europe.